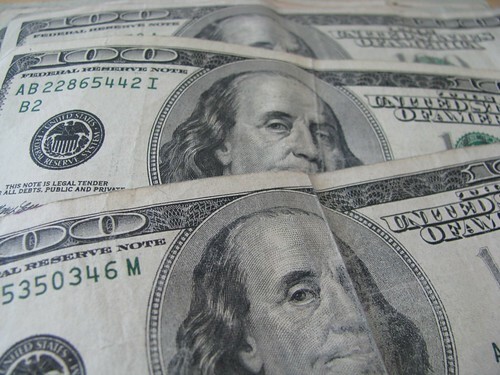 Win $100 Cash at the Ultimate Money Blog | Ultimate Money Blog- Save Money and Live Green! Who wants to win $100? You guys are so awesome that I decided I would share the love by giving away $100 to one lucky reader this month! 4. Write a blog post about with a link to the contest. That’s it! The contest will run from today until midnight April 15, 2010. GO! I RT’d and followed you too (@babyfingers). EVERYONE loves FREEBIES and CONTESTS! I just subscribed and am not to familiar then with your blog, but basically topics I’d like to see more of is anything to do with how a beginner starts to live a greener life and how to do so as cheap as possible, anything to do with enhancing the well being of my family and saving money esecially in these trying economic times. Pingback: Winner of the $100! | Ultimate Money Blog- Save Green and Live Green! I’m following your rss feed in a google reader.